The home page contains a biography of jazz trumpeter, Thomas Heflin. 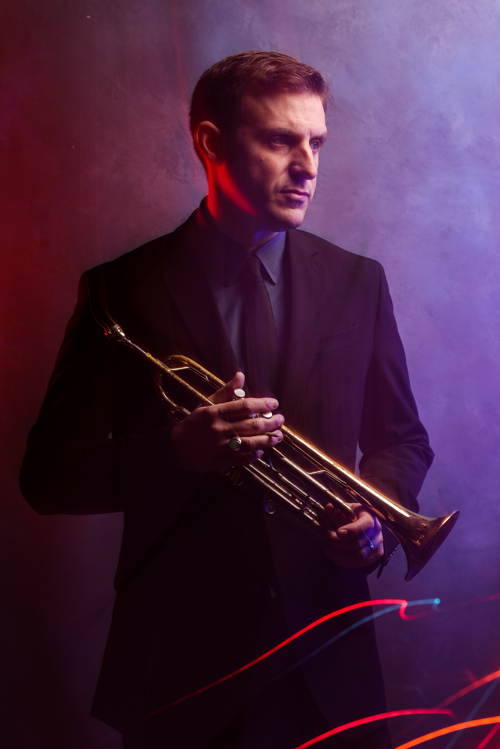 Tennessee-born jazz trumpeter Thomas Heflin has been hailed as "a fluent trumpeter with a bright tone and a forward-looking style" by jazz writer Scott Yanow. He has been featured or mentioned in Italy's Jazz Magazine, The Pittsburgh Tribune Review and The International Trumpet Guild Journal among others. He is a co-author of the book Understanding Music: Past and Present. A recording artist for Blue Canoe Records, Heflin has released three albums on the label. His 2007 debut album "Symmetry" was dedicated to the memory of pianist James Williams, who is featured on half of the recording. In 2009, Heflin produced and performed on "Introducing the New 5" by the cooperative group, The New 5 and In 2011, he released his third album, a collaborative CD with Ron Westray, former lead trombonist with Wynton Marsalis and the Lincoln Center Jazz Orchestra. The album also featured drummer Adonis Rose and bassists Eric Revis and Neal Caine. Heflin is a graduate of the University of Tennessee, where he studied with jazz education pioneer, Jerry Coker. He received his masters degree from William Paterson University and his doctorate in Music Performance (Jazz Emphasis) from the University of Texas, Austin. Heflin has served as an instructor or lecturer at Roane State Community College, the University of Texas Jazz Department, the University Outreach and Continuing Education Program at the University of Tennessee, the Manhattan School of Music Summer Music Camp and The Jefferson Center Jazz Institute. Heflin also served as the Central Greenough Artist-in-Residence in Western Australia as well as the Always on Stage festival in Charlottetown, Prince Edward Island, Canada. From 2009 to 2014, Heflin lived and performed in New York City where he performed with a variety of ensembles including the Smoke Big Band, led by trumpeter Bill Mobley. During his time there, also served as Program Manager and Jazz Faculty member at the Manhattan School of Music Precollege Division. In 2014, he moved back to the south to take the position of Assistant Professor of Jazz at Abraham Baldwin Agricultural College in Tifton, GA. Heflin currently serves as Assistant Professor of Jazz Brass at the Miles Davis Jazz Studies Program at the University of North Carolina at Greensboro.